Merger, acquisition and divestiture strategies provide clients with the opportunity for growth, business improvement and entry into new markets. SLR’s focus on the Finance sector as a key strategic priority and our development of a market-leading Transaction Services delivery team, supported by a large multi-sector interdisciplinary capability, allows us to be highly flexible and react quickly to the ever-changing transactional needs of our clients. We advise financial institutions directly, including banks, private equity, infrastructure investors and REITs; plus the organisations and clients they serve across a range of sectors and industries. We have particular expertise and experience in the Industrial, Infrastructure, Mining & Minerals, Oil & Gas and Power & Energy Generation markets. We help our clients leverage environmental, health, safety, social and sustainability (EHS) factors to impact positively the value of their investments. We also understand how environmental, social governance (ESG) factors provide a leading indicator of overall corporate performance and can significantly influence access to capital. to the investment community of clients involved in technically complex M&A deals across African and global sectors e.g. oil & gas, chemicals, power and renewable energy, mining & minerals, retail and real estate, agriculture/chem, manufacturing, fast moving consumer goods and logistics. His work involves design and execution of due diligence assessments, development of red flag reports and environmental and social action plans, and advising clients during initial investment screening stages in support of investment committee submissions and approvals. 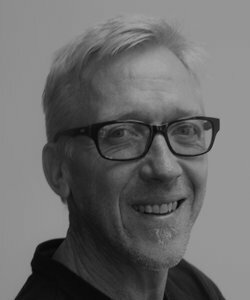 Trevor has global experience gained from living and working in South Africa and the UK (1998 – 2011), including running his own boutique due diligence consultancy . He has on-the-ground experience in many countries in African and Europe, with indirect project experience in all the major regions of the world. His t rack record includes managing due diligence on foreign direct investment, funding and project finance in Europe and Africa for major private equity and co-invested DFI/export Credit Markets, including IFC, AfDB, AFC, DEG, CDC Group, Norfund, FMO, AfricInvest and others. He has advised private and public listed companies managing and directing teams of experienced consultants to deliver on complex DD assignments, identifying and analysing implications of technically material ESG issues on the investment case, advising on operational improvements and assisting with development of exit strategies. Trevor is experienced in various technical disciplines ranging from land, air and water quality risk evaluation and mitigation, social impact evaluation and mitigation, strategic advice around supply chain, reputational risks, health & safety of workforce and community, energy & carbon management, and issues relating to climate resilience and opportunities around security of power and water supply. He applies commercially sensitive approaches to evaluating ESG risk and opportunities to enable clients to preserve, create or enhance value throughout their investment cycle. John has around 30 years of diverse experience in both environmental and civil engineering projects. 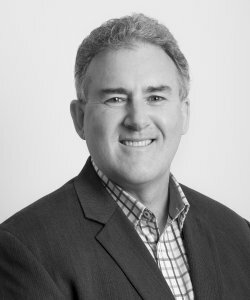 He has worked on Australian and international projects, providing professional advice and guidance to private and public sector clients. He has worked across many industries and market sectors and has been involved in the successful delivery of many multi-disciplined small to major scale projects. 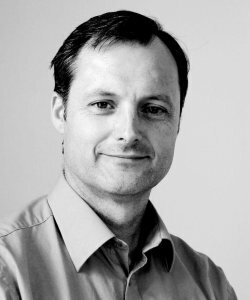 Although he has a depth of knowledge of civil design projects, over the last 10 to 15 years he has specialised more in environmental engineering, with particular emphasis on EIS, land and water quality assessment, surface water hydrology, flood estimation and water sensitive urban design. 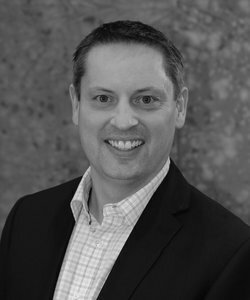 The marriage of civil design and construction practice and environmental rigour has provided John with key skills and experience that have enabled him to guide the design and approvals processes, and ultimately enabling ‘best on balance solutions’ for many challenging projects. His experience also extends to on-site water supply and wastewater treatment and disposal, transport planning and civil infrastructure design. John has worked alongside and assisted land and property developers, energy providers, mining companies, local and state government departments and other statutory authorities. John’s diverse background across the environmental assessment of sites and vast construction experience enables him to provide a holistic approach to project management and robust advice to clients throughout the project’s life, through site enabling, planning and development approval, design and construction and rehabilitation. John has also been able to apply his ‘hands on’ management and leadership style and use his effective communication skills to grow multi-discipline teams; not just in numbers but also in technical understanding, practical and economic designs and to harness and embed sustainable attitudes to project delivery. With 20 years’ experience in the field of waste and resource management, Alban is currently responsible for the Waste Resource Management group in the UK. He has extensive experience in the field of strategic waste resource management, planning, policy, procurement and infrastructure delivery, with specialist knowledge covering strategy development and policy review, strategic waste plan development, PFI/PPP tender support and operational service reviews. Mr. Simon Mendum is located in Connecticut, specializing in Transaction Advisory. Simon has 26 years of experience offering a wide range of consulting services in transactional due diligence. He specializes in pre-bid and pre-close transactional consulting services, vendor due diligence services, Phase I ESA and transaction-specific assessments (environmental, health and safety and social - EHSS), regulatory compliance reviews, portfolio liability protection services, exit preparedness, and corporate compliance programs. He also routinely provides EHSS integration support to newly merged companies. Simon works across the private equity, legal, industrial and strategic, and real estate investment sectors.